Jaundice is not a disease in itself. The yellow skin and eyes, which are the symptoms of jaundice, point at an underlying condition. They indicate the presence of excessive amounts of bilirubin in the blood. Jaundice can happen in adults, children and newborns. It is very common in newborns but happens for a different reason. In older children, the condition is rare. Here, MomJunction deals with jaundice in children, who are grown up and not just-born. Read on to know about the types of jaundice, the reasons for the condition and how it can be treated. Jaundice is a condition that results in yellowing of the skin and the white part of the eye, called the Sclerae. It occurs when there is excess bilirubin in the body. Bilirubin or bile is a yellowish fluid that the liver produces. The fluid aids in digestion and comes out of the body through stool. When it does not go out, its content increases in the body, leading to a condition called hyperbilirubinemia, which causes yellow skin or jaundice. Typically, there can exist three types of jaundice in kids like in adults. Obstructive jaundice is a condition that occurs when the normal or natural elimination of bile from the body is obstructed. This leads to excess bile in the liver. Hemolytic or pre-hepatic jaundice occurs when the breakdown of the red blood cells is accelerated (hemolysis), resulting in excess production of bile in the body. Jaundice caused due to a liver injury, or liver-related illness is Hepatocellular or Intra-hepatic jaundice. 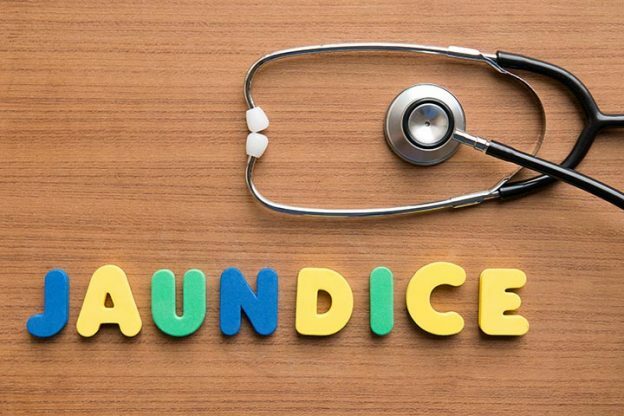 What Causes Jaundice In Children? Jaundice is a common occurrence in preterm babies. The liver is still in the developing stage, and the bilirubin does not get flushed out of the body regularly. The level of bilirubin usually goes down in two weeks after birth. However, jaundice in toddlers and older children can occur due to several reasons. Finding out the exact cause of the condition is important to be able to treat it. Here is a list of possible underlying conditions that cause jaundice in children. Each of these conditions directly or indirectly affects the levels of bilirubin in the body, causing yellow skin. Weak liver, liver inflammation, or any liver infection. Inflammation or obstruction of the bile duct prevents removal of bilirubin. Hemolytic anemia accelerates the breakdown of red blood cells, causing jaundice. Gilbert’s Syndrome, a condition that impacts normal functioning of enzymes, prevents disposal of bile from the body. Cholestasis is a condition during which passage of bile is prevented, resulting in excess bilirubin accumulation in the liver. Medical conditions such as malaria, sickle cell anemia, thalassemia, hereditary spherocytosis, and a genetic syndrome called Crigler-Najjar syndrome can cause pre-hepatic jaundice. Viral hepatic infections like hepatitis A, hepatitis B, and hepatitis C can cause hemolytic jaundice. Hepatitis A virus spreads through food and water, inadequate sanitation and personal hygiene. Leptospirosis (a bacterial infection spreading from animals), glandular fever, and primary biliary cirrhosis can also cause jaundice. Rare liver conditions like autoimmune hepatitis, Dubin-Johnson syndrome, and primary sclerosing cholangitis can also cause intra-hepatic jaundice. Pancreatic cancer, bile duct cancer, or gallstones can also cause post-hepatic jaundice. Drinking unhealthy or unclean water and consuming unhealthy food. 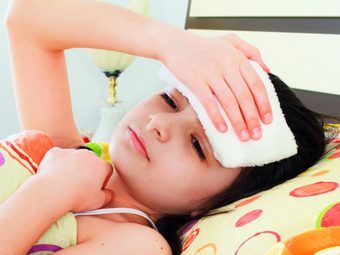 Flu-like symptoms such as fever, joint pains, etc. Pale or yellow colored stool and dark colored urine. Chills and abdominal discomfort – your child could complain of stomach pain. Sudden dwindling of appetite, nausea, and vomiting. Weight loss, tiredness, and lethargy are other symptoms you should watch out for. Exposure to harmful substances that damage the liver. The yellowness of the skin is first evident on the face and then spreads to other parts of the body. You will also find that lining of organs like the mouth and the mucus membrane (nose) also turns yellow before the eyes or the nails change color. 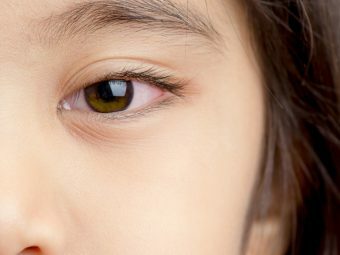 More often than not, a child with yellow skin and sclerae can indicate jaundice. 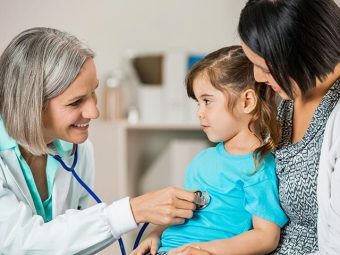 However, the doctor takes a systematic approach to jaundice in children to pinpoint the underlying cause and recommends an effective treatment quickly. He prescribes several pathological tests to diagnose jaundice. Physical examination to check swelling of feet, legs, and ankle that indicate cirrhosis of liver. Urine tests to measure the level of urobilinogen. Bilirubin tests to check the levels of fluid in the body. Blood tests including full blood count and complete blood count. Liver tests to diagnose hepatitis and liver cirrhosis. Imaging tests like ultrasound, CT scan, and an MRI can be recommended in case intra-hepatic, or post-hepatic jaundice is suspected. In severe conditions, where the liver has been damaged due to liver cirrhosis or cancer, a biopsy may be recommended. In most cases of jaundice, drinking fluids and bed-rest cure the condition. Drinking plenty of liquids can help flush out the bilirubin. However, the treatment depends on the severity of the case. Increase in intake of iron supplements and iron-rich foods to improve the amount of iron in the blood to treat jaundice caused due to hepatic anemia. Anti-viral medications or steroids may be prescribed to treat jaundice causing hepatitis. In case jaundice is due to obstruction of bile ducts, surgery may be performed to remove the blockage. Treatment is not necessary for jaundice caused due to Gilbert’s Syndrome, as it is a mild disorder that does not pose any significant threat to your health. 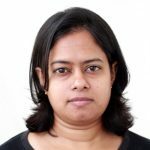 In case of genetic blood disorders like thalassemia and sickle cell anemia, a complete blood cell replacement may be required. If it is a case of liver damage, little can be done in the way of treatment. In such a case, doctors would recommend a diet and lifestyle change to prevent further deterioration of the organ. In addition to the prescribed medications and treatment course, children should get adequate care and rest at home. We have compiled a few home remedies that can aid jaundice treatment in children. Note that these home remedies do not cure the condition. They support medical care, which is essential to eliminate the condition that causes jaundice. Tomatoes have an enzyme called Lycopene, which can help in repairing the damage to the liver. A glass of fresh tomato juice with salt and pepper with breakfast is a good idea. Turmeric helps the enzymes that are responsible for flushing out liver-damaging carcinogens. A glass of warm water with a quarter spoon of turmeric, twice every day, can help. Sugarcane juice can quicken recovery from jaundice. Drink one glass of sugarcane juice, with juice from half a lemon, and drink it twice a day. Radish leaves help in relieving abdominal discomfort that the child may experience when he has jaundice. Give the kid a cup of green radish leaves juice once every day. This also helps improve appetite. Pigeon pea leaves are known to prevent anemia and boost digestive health. A cup of pigeon pea leaves juice every day can aid in fighting jaundice in kids. Barley water has properties that can cure jaundice naturally. Boil a cup of barley in three liters of water and simmer it for two hours. Let it cool and give it to the child frequently during the day to fight jaundice. Snake gourd leaves can also help in treating jaundice. Boil 15 grams of dried snake gourd leaves in a quarter liter of water. Boil 50 grams of coriander seeds in half a liter of water and make a decoction. Give 30ml to 60ml of the snake gourd infusion, mixed with coriander seed decoction, thrice a day. Almonds, cardamom, and dried dates are considered to be effective in treating jaundice. Soak almonds and dried dates in water overnight. De-seed the dates and peel the skin of almonds before making a fine paste of them. Make your child take half a spoon of this paste once or twice a day to beat jaundice. Buttermilk aids in proper digestion, and hence makes it easier to remove the excess bile juice settled in the liver. Oregano can help in relieving the patient from jaundice symptoms. Boil one spoon of oregano in a cup of water and simmer it for around ten minutes. Strain the liquid and give it to the child for relief from symptoms. Lemon juice has properties that can protect liver cells. You can give lemon juice diluted with water or mix it with equal quantities of beetroot juice. Chamomile tea, if taken frequently, can help alleviate the symptoms of jaundice. If your kid has jaundice, give him one cup of chamomile tea every day to aid in recovery. Bael leaves are also useful in treating jaundice symptoms. Make a powder out of bael leaves and mix it in one glass of water. Give this once a day to the child, to cure jaundice sooner. Chicory flowers, seeds, and leaves have therapeutic properties that can help in fighting jaundice. Juice of chicory helps in a healthy and natural secretion of the bile, thus alleviating the symptoms. However, these remedies should be considered only for boosting the treatment process. They are not a replacement for the medications prescribed by doctors. One of the best ways to fight jaundice in toddlers and kids is to follow a diet that enables in the effective elimination of bile from the body. A good diet is key to faster recovery from the symptoms, which include constant fatigue and weakness. Here are a few tips for jaundice diet in children that can help them recover sooner. When your kid has jaundice, he or she may not be able to handle heavy foods. Replace any solid foods with juices made from fresh oranges, grapefruit, pears, lemon, carrots, beetroots, and sugarcane. Continue the juice diet for a week. A light solid meal without oil and fat should be served. Stick to healthy vegetable soups, while continuing to give fresh fruit juices during the day. Feed your child frequently, between short intervals, instead of restricting meals to fixed times during the day. Limiting the intake of protein can be a good idea for patients showing symptoms of jaundice. You may even give a hot water enema to ease bowel movements and facilitate removal of bile naturally. Talk to your doctor about it before trying. Avoid canned foods, food prepared outside the house or ready-to-eat foods. The diet should only contain healthy, home-cooked meals that are easy to digest. Include buttermilk in the diet every day. Give coconut water, fruit juices, and vegetable juices during snack time. Follow a strict diet until your child has completely recovered from the condition. Make sure you check with your doctor about the diet. Do not switch to normal or regular solid diet until the doctor approves of it. Prevention is any day better than cure. Try to keep the illness away from your kid when you still have the chance. Here are a few things to remember to prevent jaundice in children. Maintain hygiene at home and around. Teach your kids to maintain personal hygiene at all times. Always eat fresh and healthy food. Avoid eating or drinking at places with unhygienic surroundings. Potentially contaminated food and water can result in jaundice. Drink clean, purified water to prevent liver-related diseases that cause jaundice. If you are traveling to places where diseases like malaria are prevalent, make sure you get the vaccine before you go. Talk to your doctor and get the kids a hepatitis B vaccine shot to prevent the illness. Remember that jaundice is not an illness, but a symptom that indicates an underlying medical condition. It affects the liver, one of the most important organs of the body. So, do not delay in taking your child to a doctor at the first hint of jaundice. Proper treatment, with medication, diet restrictions, and rest, is the only way to make recovering from jaundice easy for your child. Share your views on how parents can help kids with jaundice. Use our comments section. Is Chamomile Tea Safe For Kids? How To Make Lemonade For Kids?